As the UK battery industry makes advancements as a whole, so too are Cell Pack Solutions. With the introduction of an Ultimaker 3D printer, we can now add 3D printing to our repertoire of Custom Battery Pack services. 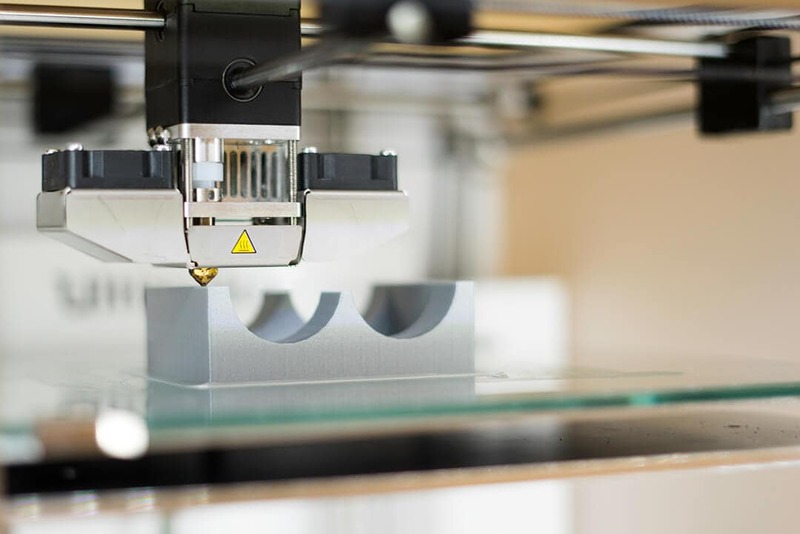 Ultimaker 3D printers have been revolutionizing major production lines across the world, including giants such as Volkswagen, Siemens and ABB Robotics and now Cell Pack Solutions. They offer fast, reliable and cost-effective solutions when problems arise on projects. Allowing for custom designed parts to be printed up to 223 x 223 x 305 mm in size. Which when it comes to batteries, is considerable large. 3D Printing a two cell battery pack jig. Previously Cell Pack have had to outsource the making of jigs and custom parts for our battery packs. This sometimes causes problems when minimum order quantities have to be met. With the introduction of the 3D printer, we can eradicate these problems; taking control of every aspect of the design process, maintaining our high standards. produce parts for small batch packs. Within the space of an afternoon the new jig is in production and being used. 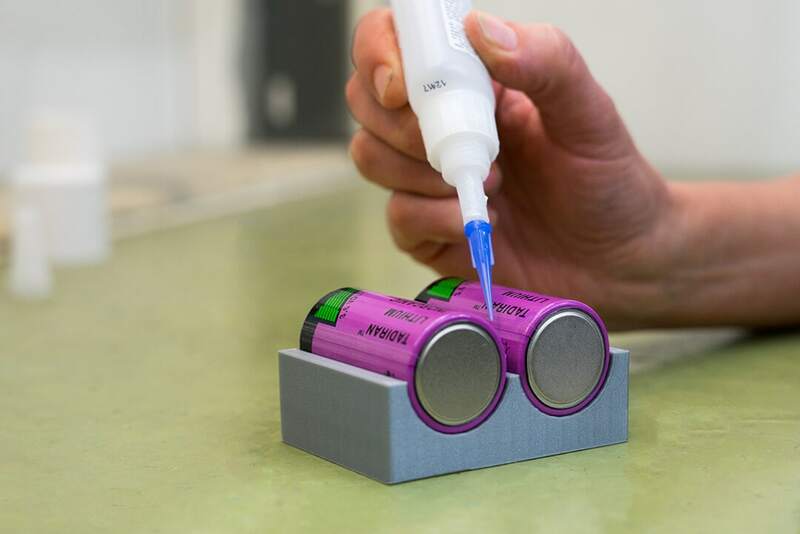 One of the first things we used the 3D printer for was the creation a twin battery pack jig, that is to be used in the smart water utility industry. The jig allows a spacer to be glued in-between two D cells so the pack fits perfectly into its intended appliance. You can see this jig being printer (albeit briefly) on our YouTube channel. Yes, it may be quite a simple solution but you have to start somewhere. We are excited by the new possibilities we are able to achieve with the printer and look forward to using it in the future. If you feel you could benefit from our 3D printer please get in touch.